A list of the basic wardrobe items male graduate students need in their closets. In the first and second parts of this article series, I gave you some general advice on dressing well on a graduate student’s budget. In the last part of the series I will give you a list of items that are must-haves. This is just a starting point, add more of each item according to your needs and preferences and as your budget allows. All men in graduate school should own at least one decent suit. Some receive this menswear basic as a graduation gift, some buy it for a job interview, and others have it because of weddings and special occasions. If yours was a recent purchase and still fits you perfectly, rejoice. If not and you have to buy a new one your best bet is a navy or charcoal suit that works with any color shirt. Go to an outlet or consider secondhand but buy the best suit you can afford. You will need at least three pairs of pants to make sure that you always have one that loks clean and crisp. One of these should be dressier, the other two could be chinos or any slacks that you find comfortable. Dark colors are more versatile and can be worn for presentations, dinners, and special events, but you might want to get a pair of khakis, too. You may be inclined to go toward a more casual look but beware of jeans that are embellished, torn, light, or colored. Dark jeans in a straight fit always look more elegant, even authoritative, than any others. All three of these should be in colors that work well with your pants. Traditional wisdom recommends one white, one light blue, and one checkered shirt, but I say go for the colors that flatter you. If you feel that you look especially good in green, there is no reason to stick to blue. Also, if your budget allows, you should buy more than three of these because button-down shirts should be your number one wardrobe staple as a grad student. At the very least you need one of these for layering but I suggest getting more. Hanes and other brands sell them for a really low price in packs of three. Polo shirts are perfect for hot summer days when you would like to look a little more casual. One light and one dark is a good way to start. Make these different colors from your button-downs for maximum variety. Depending on your climate, you might need a peacoat, trenchcoat, or other outerwear. A nice coat, even a cheap-but-decent-quality coat, should last you for many years. It’s a good idea to buy this in a neutral color, such as grey, camel, or black. Of course you will need enough underwear to last you through a laundry cycle. 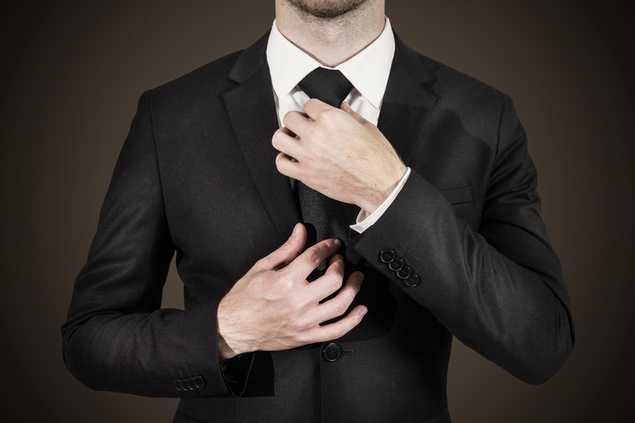 For everyday use you can forego most of these accessories, but for presentations you will want to wear a tie. While just like your everyday clothing, your suit does not need to be expensive, having accessories that appear well-cared for if not new helps. The material and quality of your belt, shoes will be noticed. If you would like to appear truly well put together, don’t forget a pocket square, watch, and socks that match your outfit. For colder climates you will also need boots, at least one scarf, gloves, and a hat. Buying them as a set will make the purchase more affordable and also ensure that they go well together. Watches have always been the accessory to make a man’s outfit look finished. For some, they are prized possessions, for others they are simply a practical object or a piece of jewelry they are used to putting on. Some may choose to forego a timepiece in favor of using their phones to tell the time but I think that given how affordable some great watches can be and how much more professional you will look when you don’t sneak peeks at your phone during a presentation, I would encourage you to get one. You should not wear pants with a belt loop without a belt and you should have at least one belt in a color matching your shoes. If it matches your watch too, even better. You will need two pairs of shoes at minimum; by rotating them, you will extend their life cycle. Oxfords, simple lace-ups, even boating shoes are fine. Ideally, one of these should be a more elegant, black, leather shoe that you can wear with your suit. As for your casual shoes, comfort is key but tennis shoes, vans, or anything else athletic will not make you look professional. Nice leather bags can be bought at outlet stores and this is worth the investment. Cheaper bags tend to fall apart and also make your outfit look less put-together, while a nice bag will make you look sharp and polished. If you need to carry around a lot, you might opt for a duffle bag or a backpack. As a bonus, you deserve a nice pen. Buy yourself something you are proud to pull out to take notes with. The same goes for a moleskin notebook, if things like that make you feel better (and you’ll appear more professional).